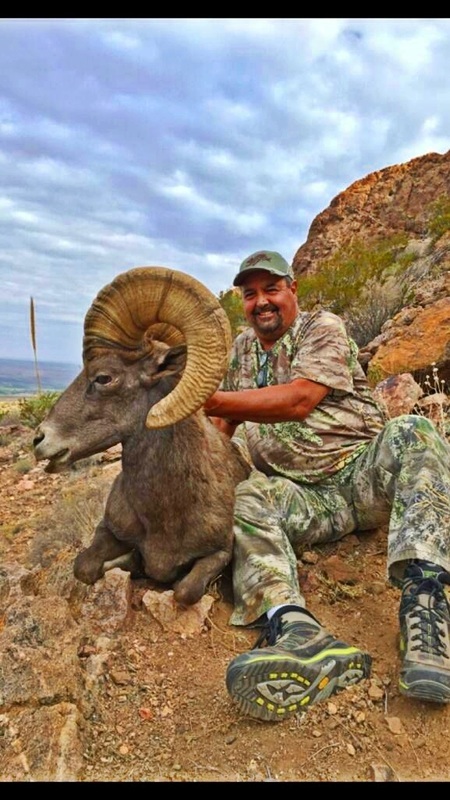 Truly a hunt of a lifetime, New Mexico offers both Rocky Mountain and Desert Bighorn sheep. 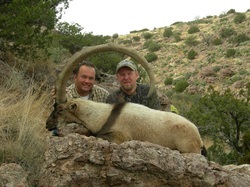 We specialize in Desert sheep here in Southern NM. There is now an outfitter pool which can increase your odds of drawing so contact us early to get your application in. We have top notch guides in all the areas we guide for and we will ensure you go home with a trophy of a lifetime and a great hunting experience, We book 7 day hunts, and be prepared for lots of glassing and walking over some tough terrain. Lodging, food, and transportation provided. Lodging either wall tent, trailer or hotel, 3 meals a day provided with snacks and drinks. 2 Guides and field care provided, Pack outs are team effort or $400.00 for complete packout. You provide lodging, food and transportation or fuel cost to use guides truck. Expect to provide food and lodging for your guide as-well or add an extra 150.00 a day to have guide supply his own. Guide and field care provided, pack outs are team effort or $400.00 for complete packout. Now that there is an outfitter pool for these animals, you will want to contact us prior to applying to enter the outfitter pool for higher chances in drawing. These are great hunts and they are really fun. Chasing these animals on rocky rough terrain is a blast and the chance at taking a big billy is worth it all. We have experienced guides who know these mountains well and will work very hard in finding that trophy billy. These hunts are conducted on some of the roughest terrain in all of New Mexico so be prepared physically and mentally for this hunt.